Includes: 1.5-Quart covered saucepan, 3-Quart covered saucepan, 8-Quart covered stockpot, Universal steamer insert with cover (fits both the 1.5 Qt and 3 Qt saucepans), and a 12-Inch skillet with high dome cover. Whether cooking up a storm for the holidays, entertaining friends on the weekend, or simply making after-work meals for the family, the 10-piece cookware set provides just the right pieces to make all your culinary endeavors a pleasure. When finished, the pieces clean up easily by hand or in the dishwasher and hanging holes on the handles allow for showcasing the pieces from a pot rack when not in use. 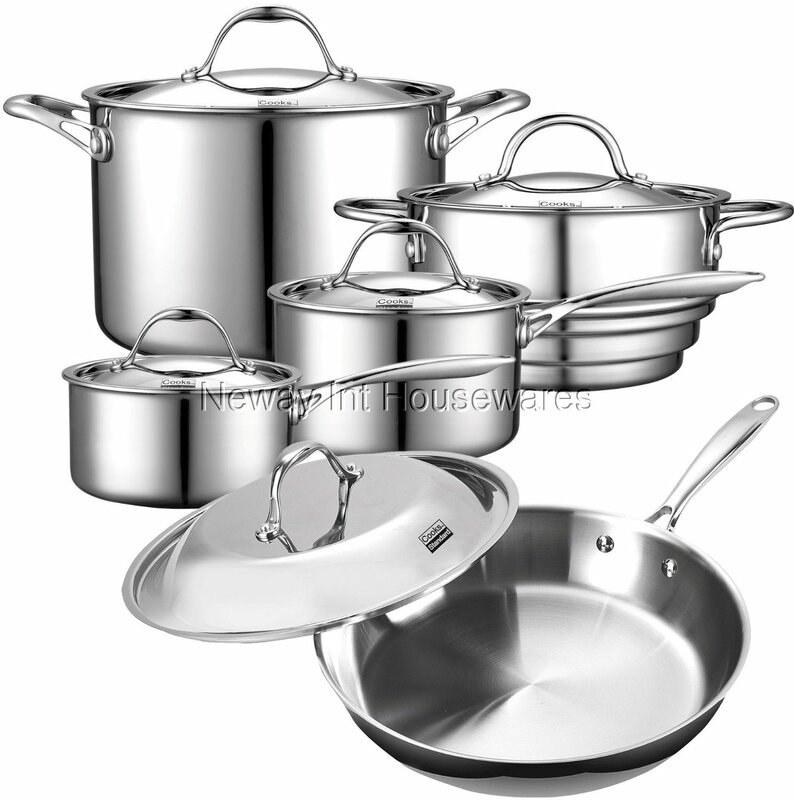 Sleek and stylish, Cooks Standard's Multi-Ply Clad Stainless Steel line of cookware carries a limited lifetime warranty.